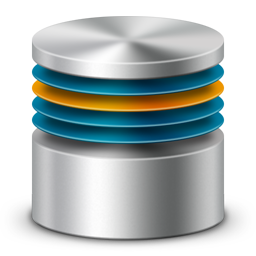 A database provides the backbone of many software applications. And behind those databases are people with a talent for storing, organizing, and managing data. Database administrators — DBAs, for short — set up databases according to your company or organization needs, and make sure they operate efficiently. They fine-tune, upgrade and test modifications as needed. They are also responsible for implementing security measures to safeguard your most sensitive data. Database design and maintenance is complicated and there are three important criteria for choosing a firm to handle those chores. The first is attention to detail. That is essential. Second is a passion for problem-solving. Time — they say — is money. Finding the source of a problem and correcting it quickly is a critical component to your choice for a database administrator. Ongoing maintenance of a database frequently requires being on call. Surveys show that 25% of DBAs work more than 40 hours a week. DBAs often work as part of a team with computer programmers and managers. So the last and equally important criteria for your choice is the ability to communicate with you and your staff. If you need someone to assist your team or design and operate your database from top to bottom, We Are Technology would be your best choice. Our team is based in North America and Europe and has 15+ years expertise in Microsoft SQL, MySQL, PostgreSQL, Filemaker/Filemaker Pro and Paradox.